Figure-flattering silhouettes? Check. Pretty fabrics like satin and tulle? Check. 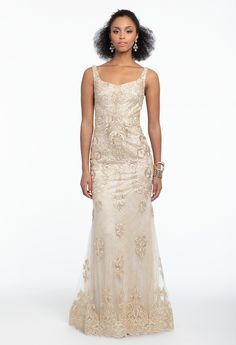 Eye-catching details including beading and lace? Check. Shop our diverse assortment of prom dresses ranging from $250-$300 and discover a selection like none other! With a variety of gorgeous options bearing red carpet finishes, we know your prom dress is somewhere here. Simply choose your silhouette and the rest is fashion history. Make them stare in a sleek silhouette with a sparkling finish! The Camille La Vie collection offers plenty of sophisticated options that are $250 and under. Cutouts, leg slits, unique high-low skirts; strut in looking and feeling fabulous in a style that will reel in the compliments- and won’t break the bank. The price tag? Our little secret. 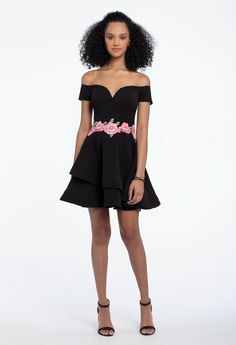 Find more affordable prom dresses on CLV.com!